Rob Moratti started his career in the nineties as lead vocalist and songwriter of the band Moratti. Around the millennium he teamed up with songwriet Mladen and they formed Final Frontier. In 2008 he became the singer in famous Canadian rockband Saga. 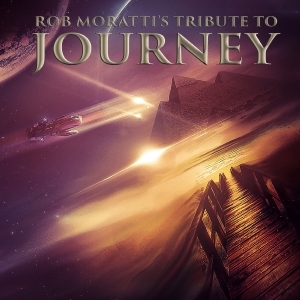 Being a fan of Journey himself, he decided it was time to bring a tribute to them, so he recorded these 12 songs. Among them some of my all time Journey favorites like ‘Don’t Stop Believin’ or ‘Anyway You Want It. It’s a good album, one I would advise to any Journey fan, although the original versions, especially when sung by Steve Perry are better if you ask me.